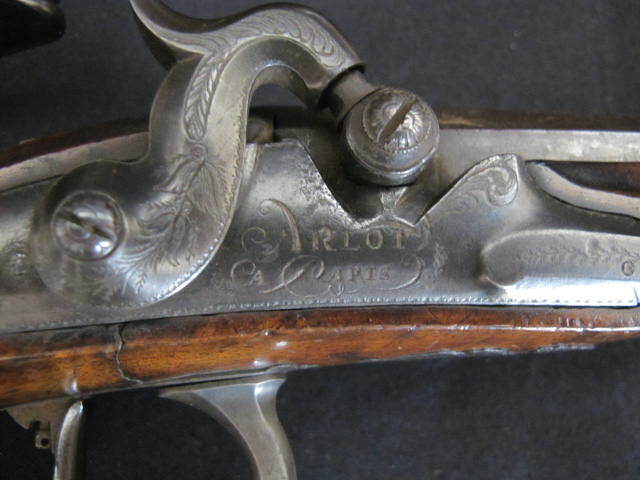 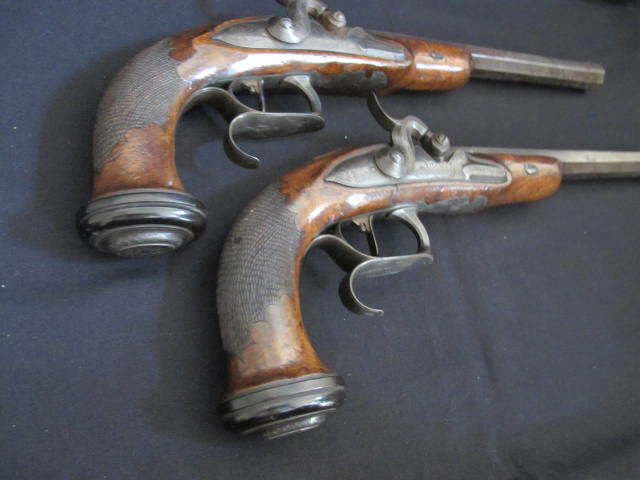 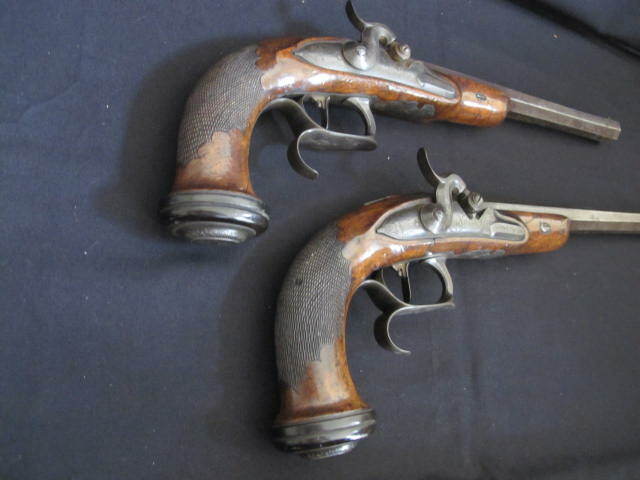 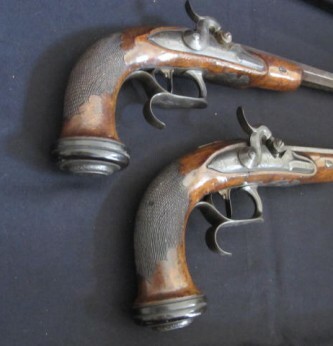 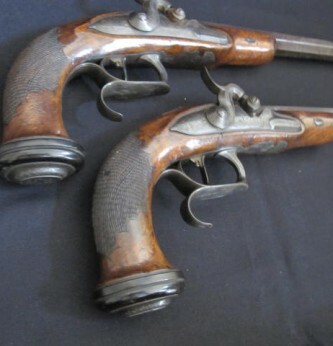 Fine pair of French percussion duelling pistols manufactured by Arlot & Bachereau Paris. 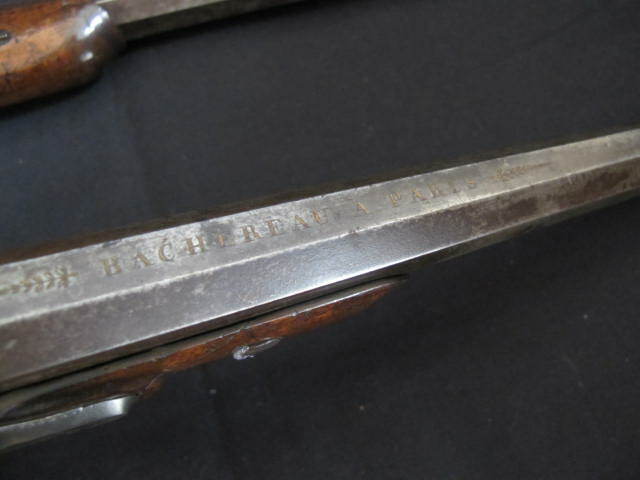 22 bore barrels cut with micro groove rifling and engraved to top of barrels “bachereau A Paris”. 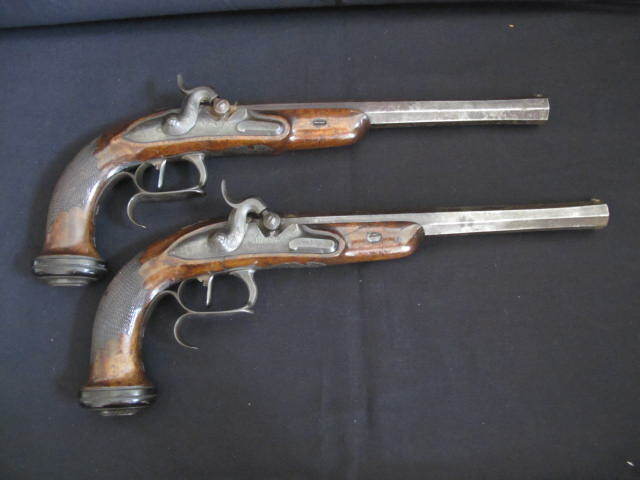 Walnut half stocks with steel furniture. 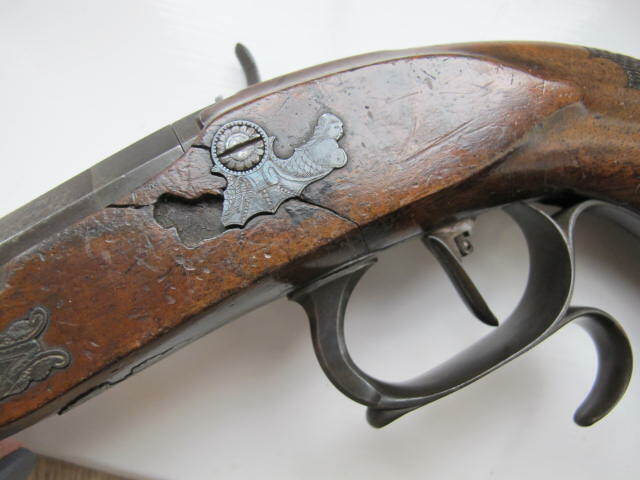 Spur trigger guards engraved with urns. 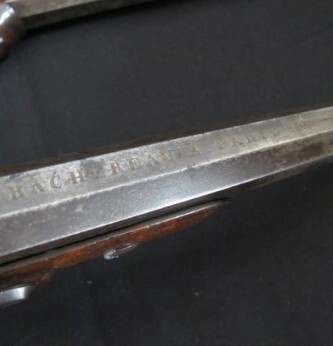 Side screw plates engraved as mermaids. 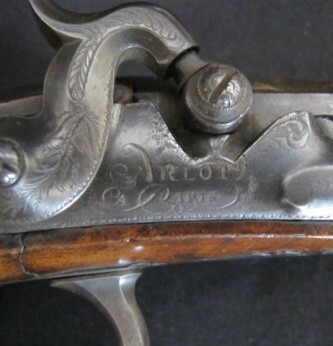 Nice chequered grips. 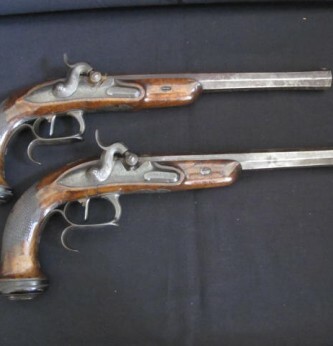 A nice matched pair of untouched duelling pistols with only slight damage to one side plate. 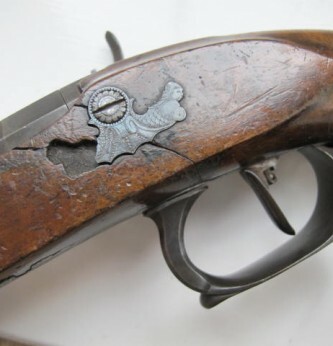 Otherwise perfect.